Our tour guide will pick you up at Shanghai airport, holding your name board at the exit, you will be transferred to hotel. The rest of the day is free time. Morning tours at Shanghai Urban Planning Exhibition Hall, which shows the achievement of Shanghai city planning and construction, and Shanghai World Financial Center, providing panorma view of the city. Afternoon we are going to Yuyuan Garden, one of the most famous gardens in China. Move on to Silk Factory before coming to the Bund to appreciate exotic buildings and amazing river view. This morning transfer to Shanghai railway station and take a express train to Suzhou. First visit the Humble Administrators Garden, a typical South China classical garden and listed into World Heritage. Afternoon roam on the suzhou old streets and Hutongs with rickshaw. 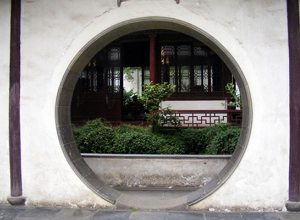 Tour ends with Lingering Garden, which is well-known for the exquisite beauty of its magnificent halls, and the various sizes, shapes, and colors of the buildings. This morning, you will have free time before departure. Transfer to airport and fly to your next destination.